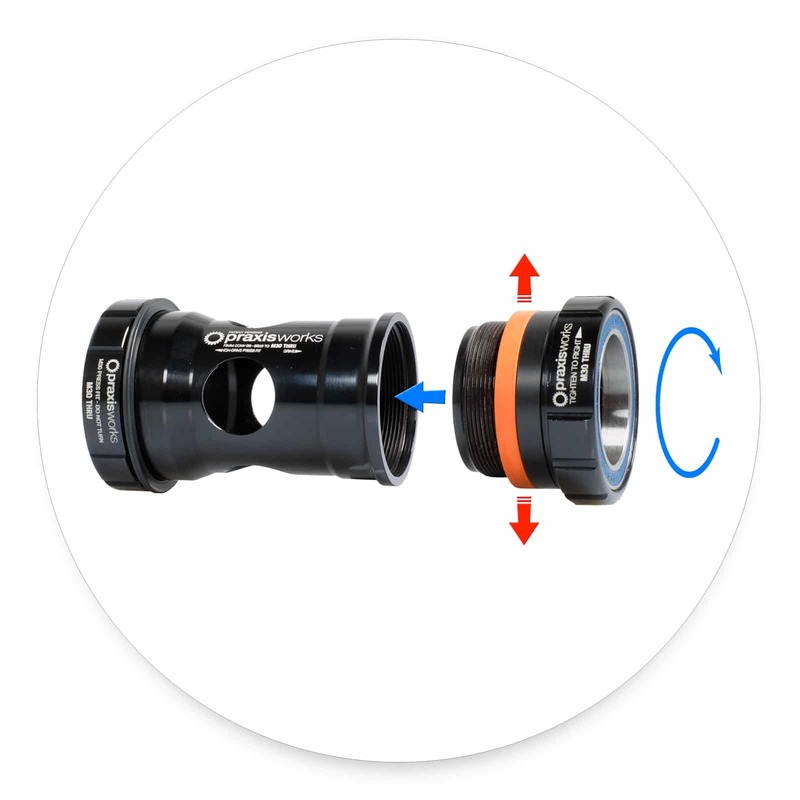 Our new patent pending elastomer collet design keeps the cartridge bearings outboard of the frame right on spec for greater rigidity and free of frame/c-clip tolerance issues that other systems deal with. 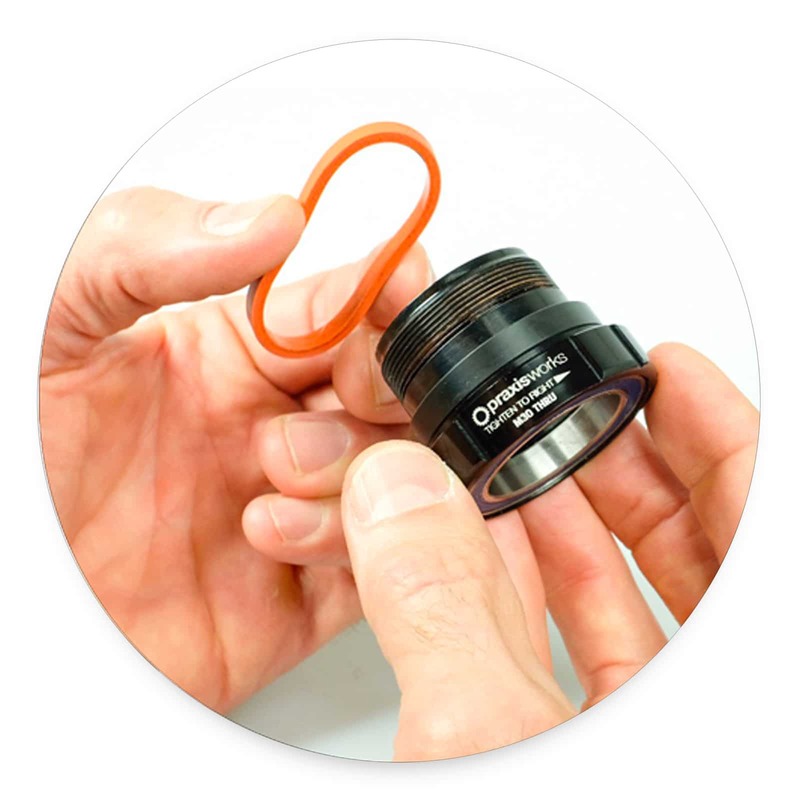 Simply press in the longer Non Drive Cup, then the shorter drive cup with orange elastomer threads into. 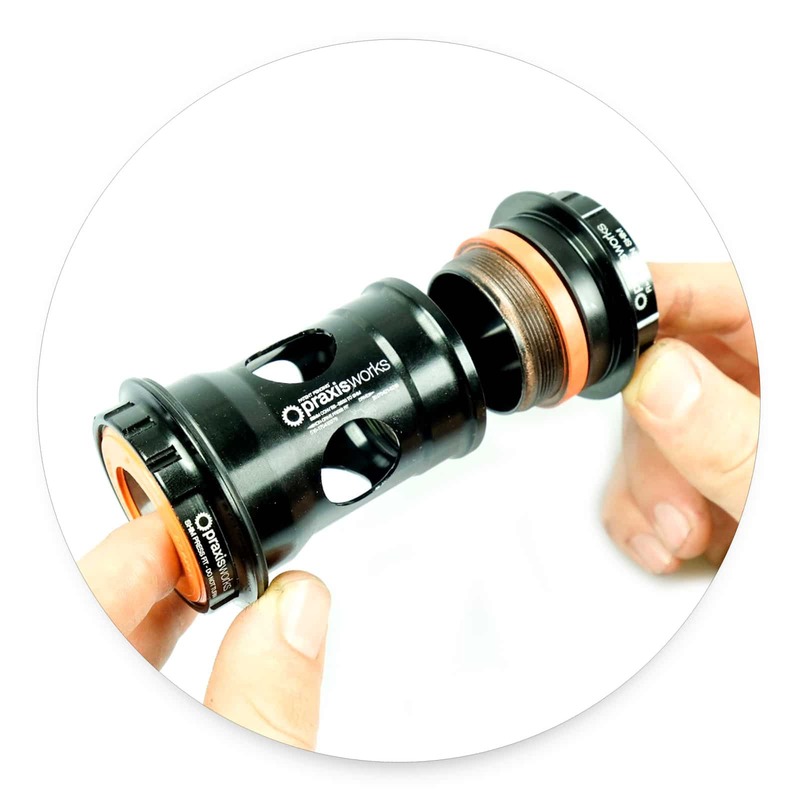 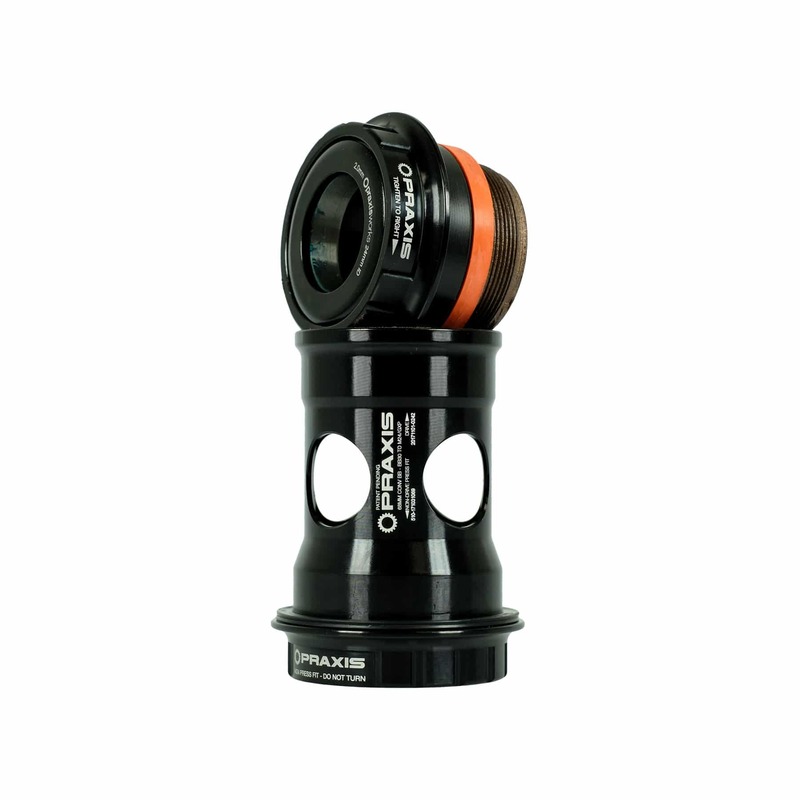 As the drive cup threads in, the orange elastomer collet expands to a precise machined limit evenly dispersing pressure in your frame shell for a super snug fit. 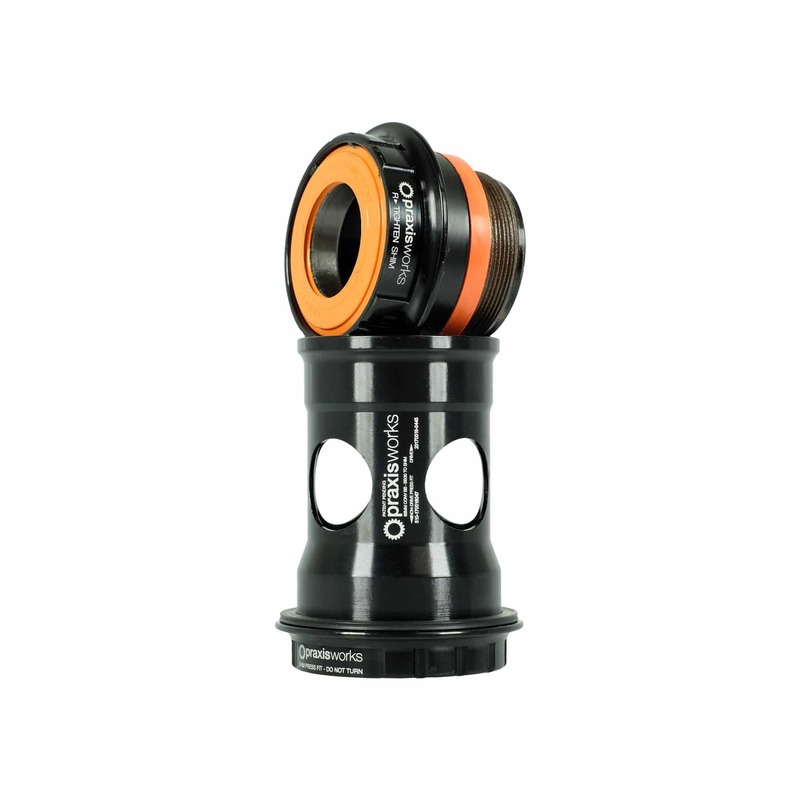 With both cups connected and our elastomer expanded, there is no chance the bearings can come out of alignment or walk out of the frame. 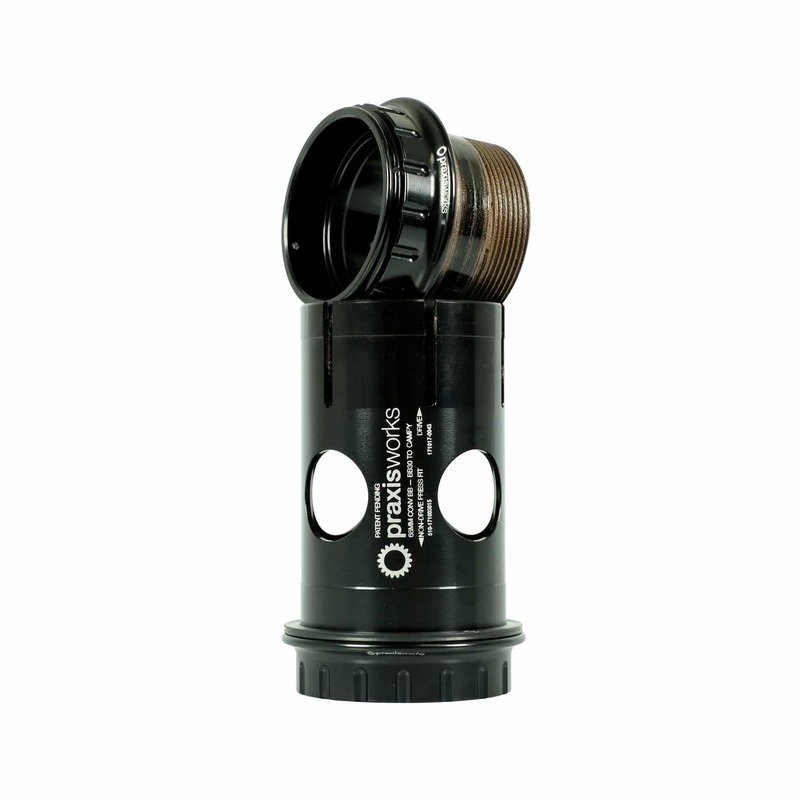 This design also uses a compressible o-ring on the non-drive side cup to compensate for frame width variances .